While it’s nice to vacation on a budget, sometimes you just have to splurge. You’re worth a ritzy vacation at the best hotel with the nicest restaurants and all the amenities! Your family is worth it! Luckily, there are a bunch of bucket list-worthy hotels across the world that will cater to your every wish and leave you feeling as pampered as a prince. The Active Times has searched the internet for five- and four-star hotels that offer every extravagance, including curated dining experiences, butlers and top of the line spa experiences. What’s great about some of these splurge-worthy hotels is that many of them are in the United States, so you won’t have to leave the country — or even your state — to ball out on your time off. Some of them are even in the best places to vacation! Grab your family, invite your significant other, or just go alone to any of these indulgent 50 hotels totally worth the splurge. 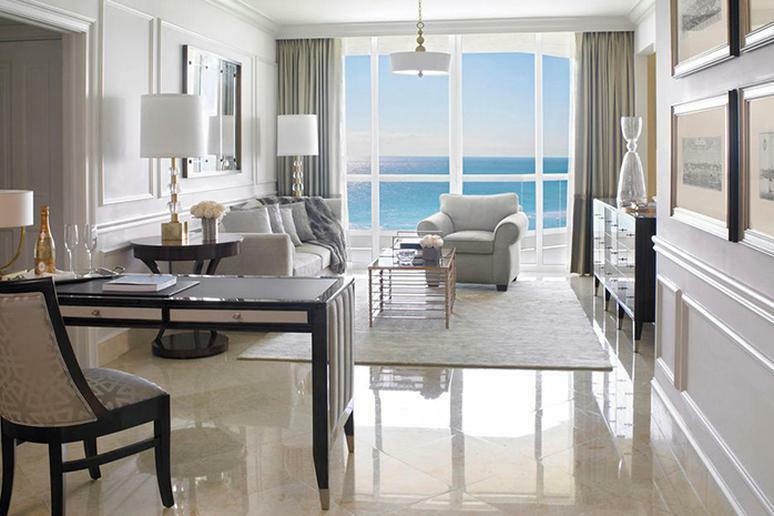 If you’re springing for a room at Miami’s Acqualina, you might as well ball out and get the penthouse. According to Forbes, its 7,725 square feet and includes five bedrooms, a kitchen, a private saltwater pool, a cabana guest house and unobstructed views of the ocean. 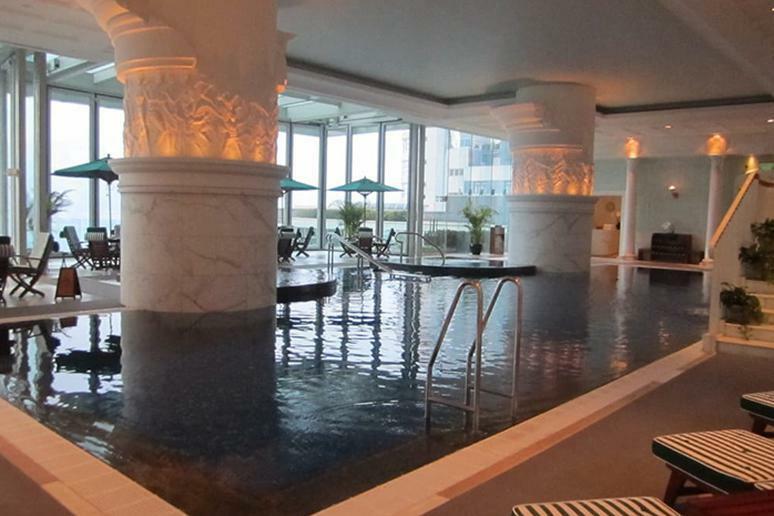 Plus, when you’re sick of all that luxury, you can chill out at the hotel’s Acqualina Spa by Espa. 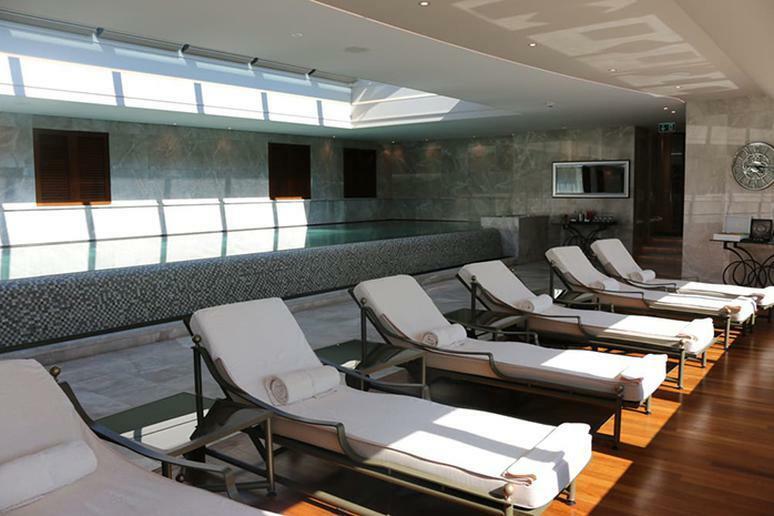 It’s a five-star retreat offering aromatherapy, hydrotherapy, sea product- and plant-based beauty therapies, and more. 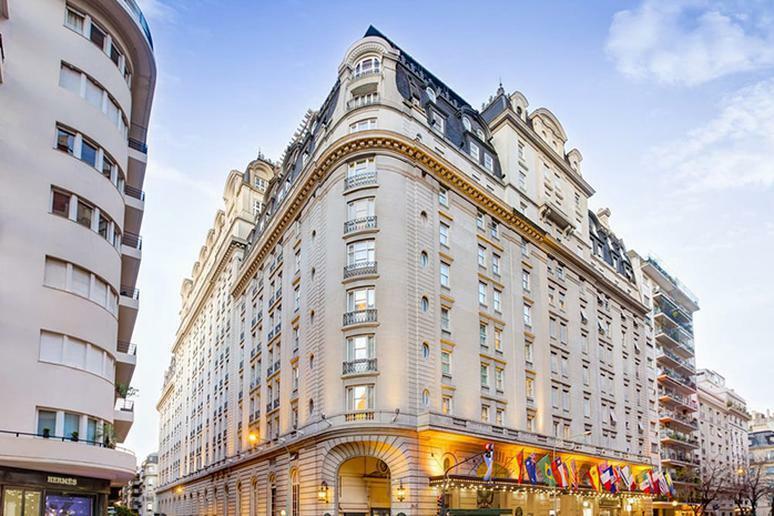 The Alvear Palace is the height of luxury in Buenos Aires. It’s located in the upscale neighborhood of Recoleta, surrounded by high-end boutiques (if you want to pop out and do some major spending). 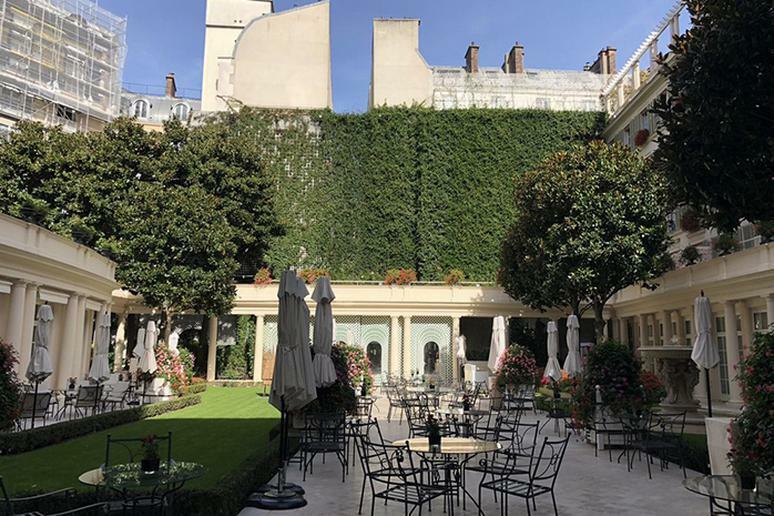 The hotel’s rooms look straight out of Versailles, and they offer a tea service that would rival Marie Antoinette’s from their restaurant L’Orangerie. If you book a deluxe suite or higher, Alvear offers its guests complimentary butler service. That means someone from the hotel will do trivial things for you like draw you a bath, unpack your bags, and even order your room service. 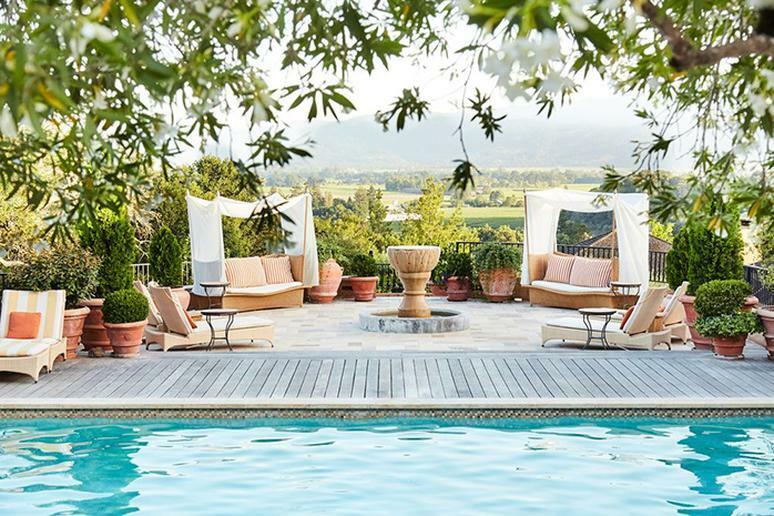 This Napa Valley hotel has been featured on Goop — and if it’s good enough for Gwyneth, it’s definitely the best of the best. This luxurious hotel in wine country with its large suites, outdoor showers and bathtubs, and private cottages, also has a restaurant with two Michelin stars, a gorgeous full-service spa, custom-tailored wine tastings, and stunning views of Napa. 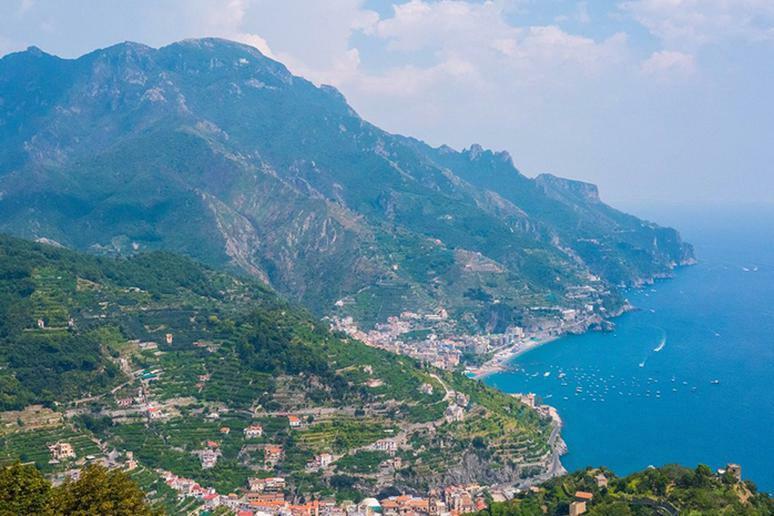 Ravello is the most gorgeous Italian mountain town that you have never heard of. 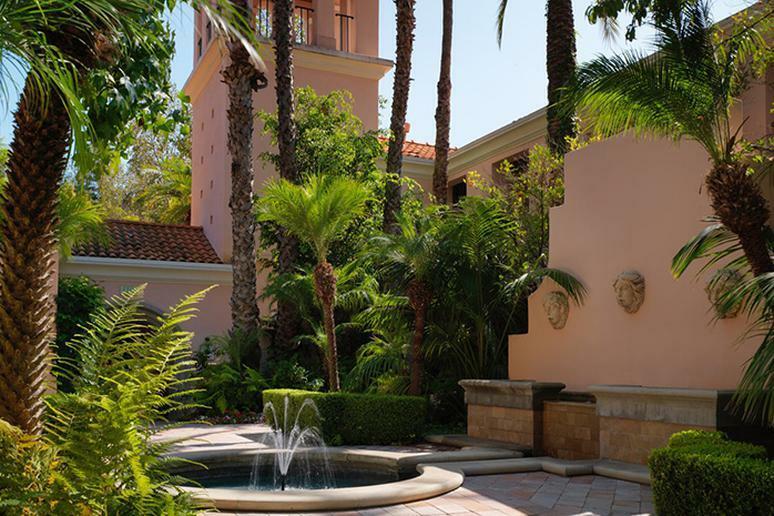 Within it is the equally gorgeous Belmond Hotel Caruso. The 11th-century palace offers breathtaking views of the Tyrrhenian Sea and two restaurants serving delicious Italian fare. 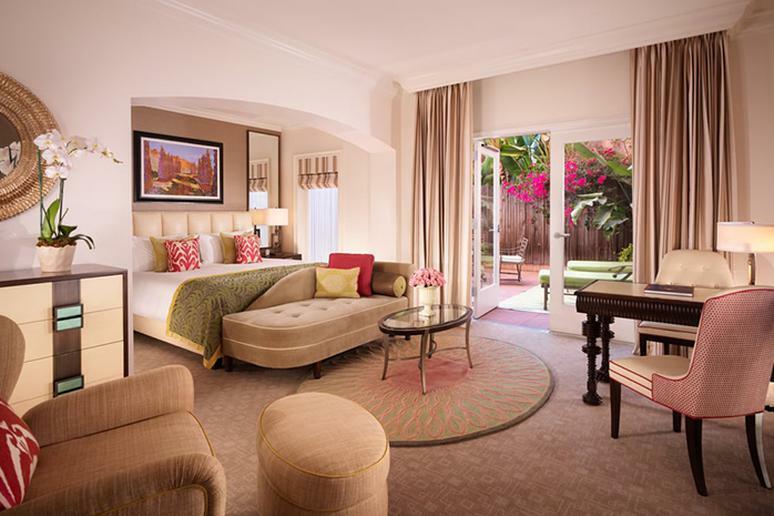 The Beverly Hills Hotel is the perfect mix of old and new Hollywood glamour. This hotel does all their decorations in its signature pink and green; even the plastic palm trees meant to shade guests are classic “Beverly Hills Hotel Pink.” They have bungalows named for famous past guests such as Marilyn Monroe and Howard Hughes, but you’re also just as likely to see living celebrities brunching in the restaurants and bars at this 5-star luxury hotel. It’s worth the splurge if you’re celeb-crazy, as it’s always been one of the best places to see celebrities in LA. If you’ll spend any price for the perfect scenic view, this is the hotel for you. 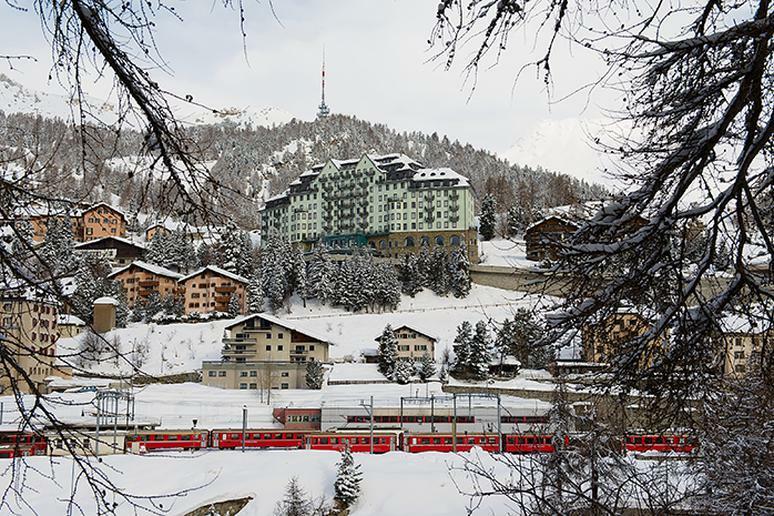 The Carlton Hotel faces the Swiss Alps and a stunning placid lake that looks like a mirror when it freezes over. Plus, the hotel has a ton of activities from skiing and sledding to a horse-drawn-carriage ride, a fondue lunch and a dainty tea service. Plus, it oddly looks a lot like the hotel from Wes Anderson’s “The Grand Budapest Hotel”! Set in a 55-acre vineyard, Cavas Wine Lodge is a boutique hotel experience that you should definitely splurge on if you’re a wine lover or are planning on spoiling one. 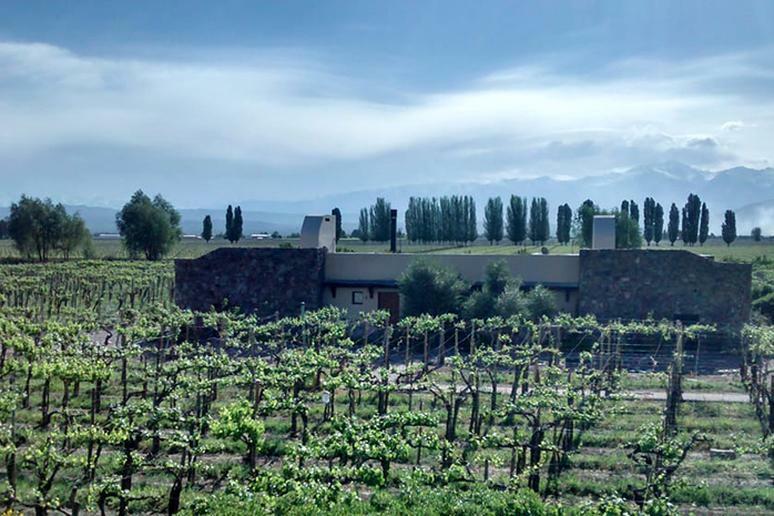 This gorgeous little hotel in the foothills of the Andes mountains offers everything from horseback riding, zip lining, hikes, bike rides and whitewater rafting to (of course) wine tasting, vineyard tours and extravagant meals at the hotel’s restaurant. Feeling sloshy from too much wine? Decompress in the hotel’s top notch spa, which offers massages, therapeutic rituals, body treatments, facial treatments, and even a yoga retreat. This tiny family-run inn contains a Michelin-starred restaurant, a gorgeous spa and little 20th-century cottages with dry saunas. The seasonal menu features foods sourced from nearby artisans and farmers, and there are a ton of great wineries nearby. Even though it’s just about an hour and a half outside of San Francisco, you might feel like you’re in Provence. 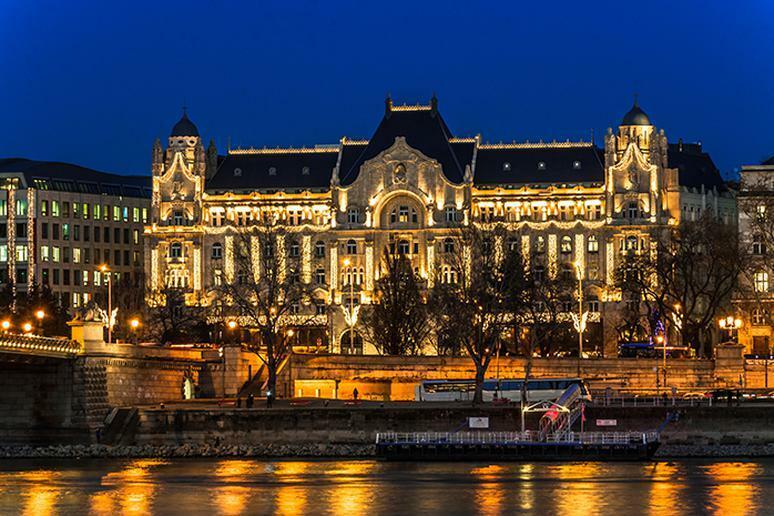 This Four Seasons is known for being one of the most beautiful hotels in Budapest. With its stained-glass windows, mosaic tile ceiling and view of the Chain Bridge, it truly is a sight to behold. According to Forbes, the hotel’s rooms are also the largest accommodations you will find in Budapest, so if you’re looking for space, splurge here. 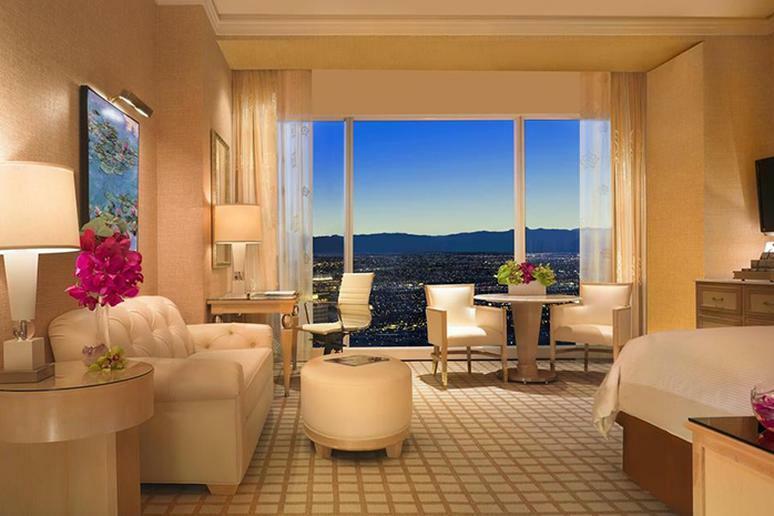 When you’re tired of the Strip and you’re tired of the casinos, the Four Seasons Las Vegas is the place to relax. 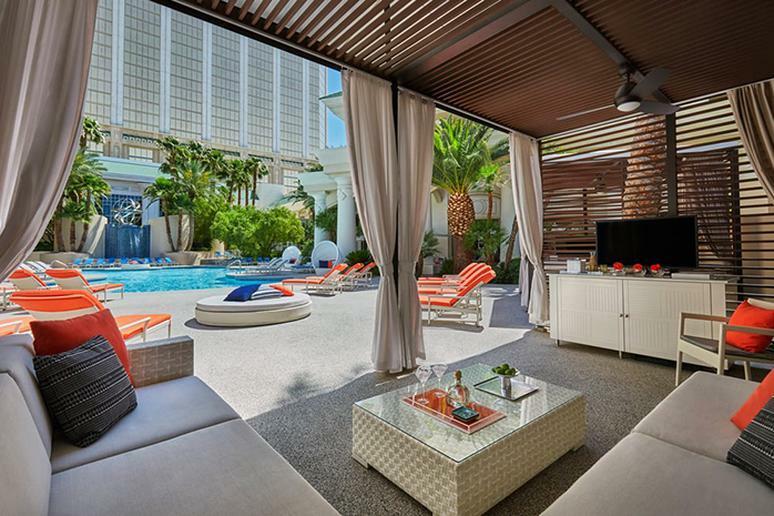 It’s the anti-Vegas, with all the luxurious amenities you’ve come to expect from, well, Vegas. First of all, this Four Seasons location is a non-gaming property, which makes it the perfect place to stay if you’re traveling with kids. This Four Seasons location offers three full-service restaurants, a very hot bar called Press, a five-star spa and a private pool. 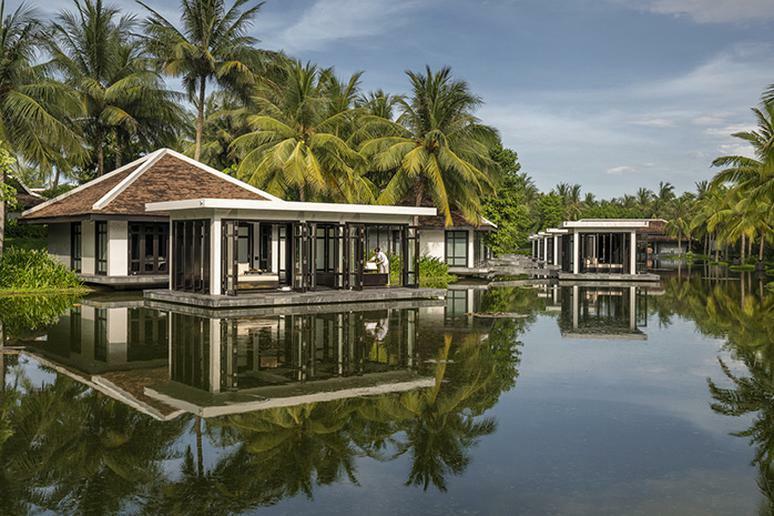 This bucket list-worthy resort’s layout looks kind of like a Thai village, and guests are often charmed by the rice paddies and lily ponds that separate its pavilions. The hotel also offers villas and private residences to guests as well as traditional Thai cooking lessons. Splurge on this Big Island hotel if your idea of a vacation is broken up with high intensity workouts. Its most popular amenity is its sports club, which offers over 15,000 square feet of facilities like yoga, tennis, a four-lane pool, a rock-climbing wall, a sand volleyball court and a gym. 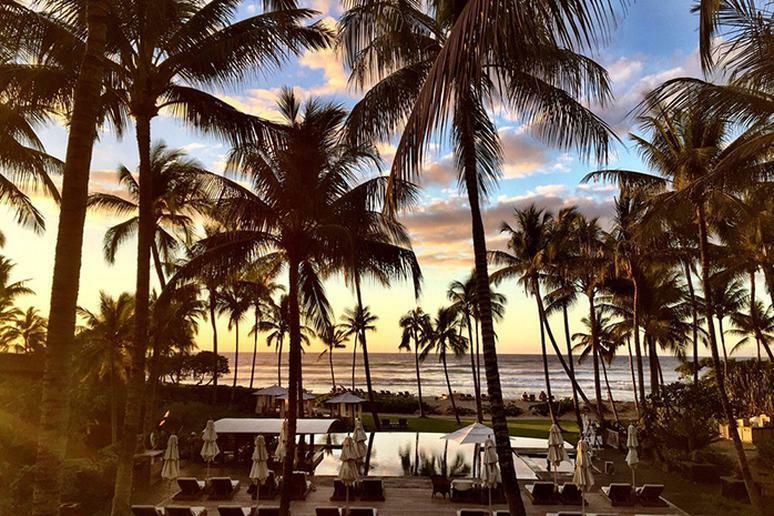 This nature-centric Four Seasons also complements the Hawaiian scenery that surrounds it. Whether you’re chilling by the saltwater pool or lounging on a lanai on the balcony of your room, you’ll notice that the hotel practically grows out of its lava rock surroundings. 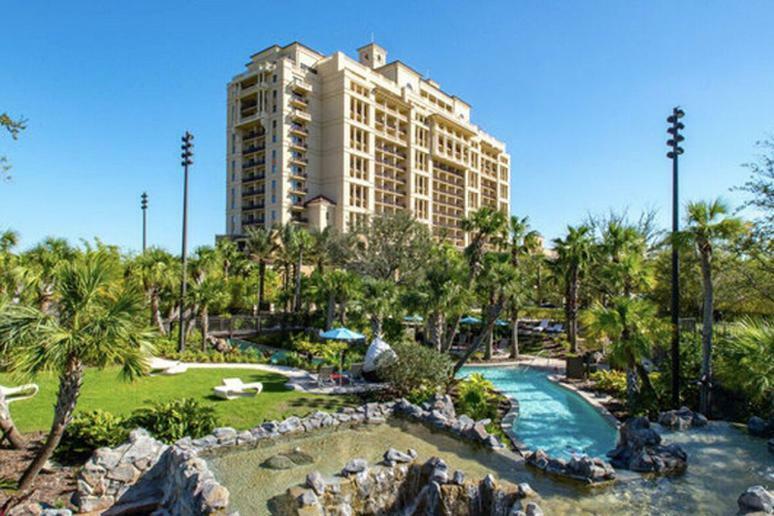 You’re not far from Disney World, but if you want to forget that you are, stay at the Four Seasons Resort Orlando. Your kids will be so busy with the pool, the lazy river and the Goofy-character breakfast that they will hardly notice you’ve slipped away to the luxurious Four Seasons spa or to the adults-only pool. Plus, this hotel doesn’t incorporate Disney into its decorations. No hidden Mickeys here! 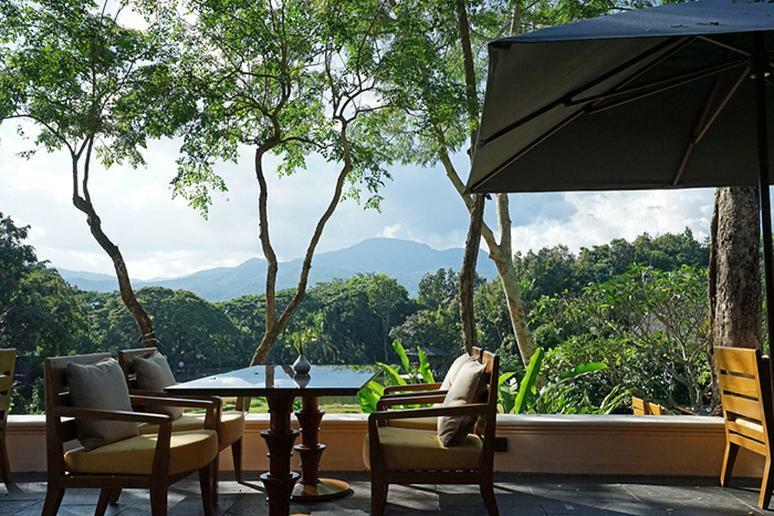 The most eye-catching feature of this Four Seasons location is The Nam Hai’s three tiers of infinity pools. The first is kid-friendly, the last is for adults only, and the middle pool is for laps. Whether you’re swimming, checking out the eight treatment suites or enjoying a themed dinner at one of the hotel’s two restaurants, you’ll be excited to turn down at your villa which includes a garden, an outdoor rain shower, a bedside bathtub and a patio with a daybed. Ski bunnies, this is the hotel for you to splurge on. 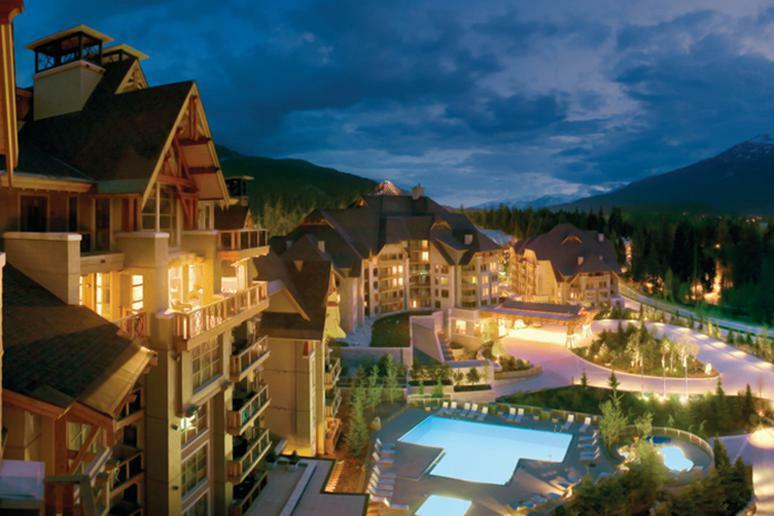 The Four Seasons Whistler is bucket list-worthy and is based at the foot of Blackcomb and Whistler mountains, just a five-minute walk away from the lifts — so you can ski for hours and then lift home, no problem. To soothe those aching muscles, the hotel boasts a five-star spa with tons of relaxing amenities such as massages and facials. Guests of the hotel can also take advantage of its ski concierge, who will store your equipment or help you to rent gear and purchase lift passes. 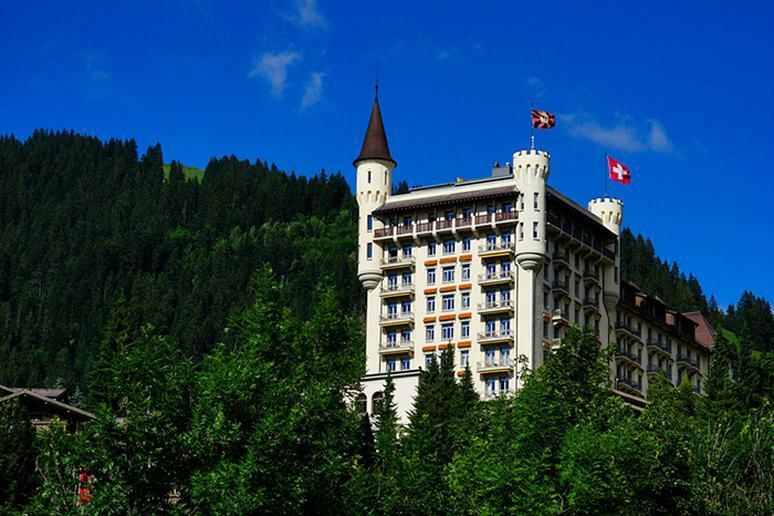 According to The Hollywood Reporter, celebrities such as Madonna, Princess Diana, Michael Jackson, Anne Hathway, Elizabeth Hurley and Hugh Grant have all stayed at Gstaad Palace. The opulent hotel offers views of the Swiss Alps, luxurious rooms and spa services, and visitors enjoy what MySwitzerland.com calls “discretion and hospitality” for “the most discerning international guests.” So basically: celebrities, royalty and spies? 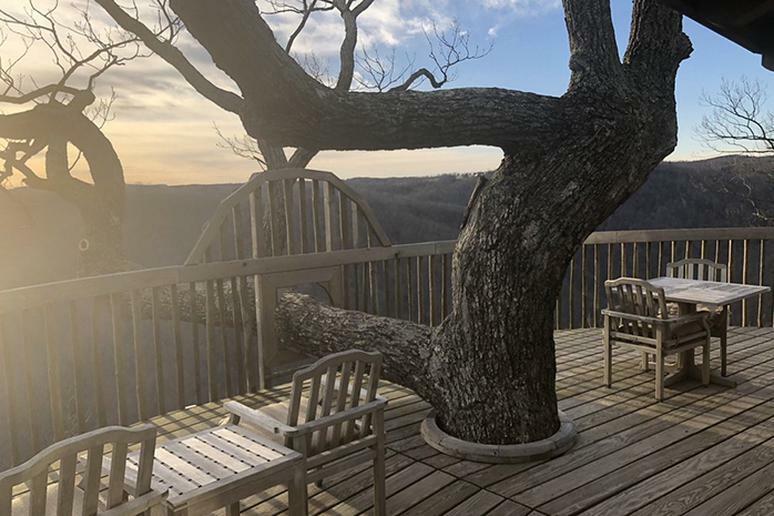 This secluded hotel is the perfect place to stay if you’re hiding from the paparazzi or just want to get away from the slow crawl of LA traffic and your terrible assistant job (if you can afford it). This is the hotel to splurge on if you want private everything. The amenities are top of the line, but you won’t find five pools and a kid’s club or cooking demonstrations. In fact, this hotel only has one bar and one restaurant — but it’s by no less than Wolfgang Puck, so you won’t rue the lack of options. 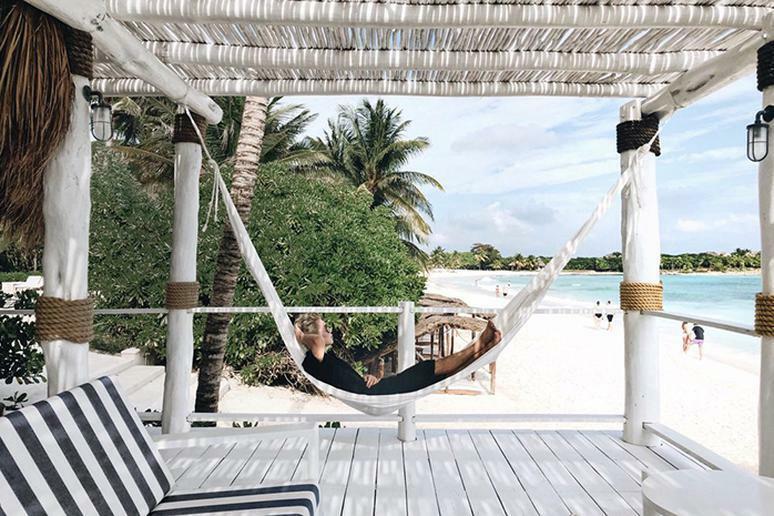 This Tulum hotel is situated on what Forbes calls “the most pristine stretch of beach in all of Mexico.” This the place to splurge if you love to eat. Hotel Esencia brings guests fresh coffee and pastries every morning, and the stunning hotel is brimming with restaurant and meal options that serve everything from Japanese-Peruvian fusion to Latin American cuisine and even a few specialty dishes from around the world. 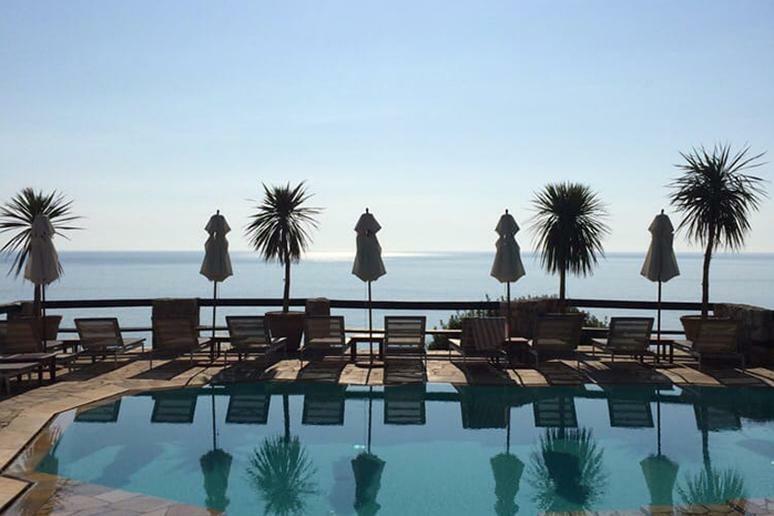 Hotel Il Pellicano has maintained its glamorous ‘60s and ‘70s flair with a few timeless touches. Once a favorite of Kirk Douglas and Sophia Loren, the hotel is now reeling in guests with its prestigious Michelin-starred restaurant, Pellicano, and their wine cellar with over 1,000 bottles of wine. 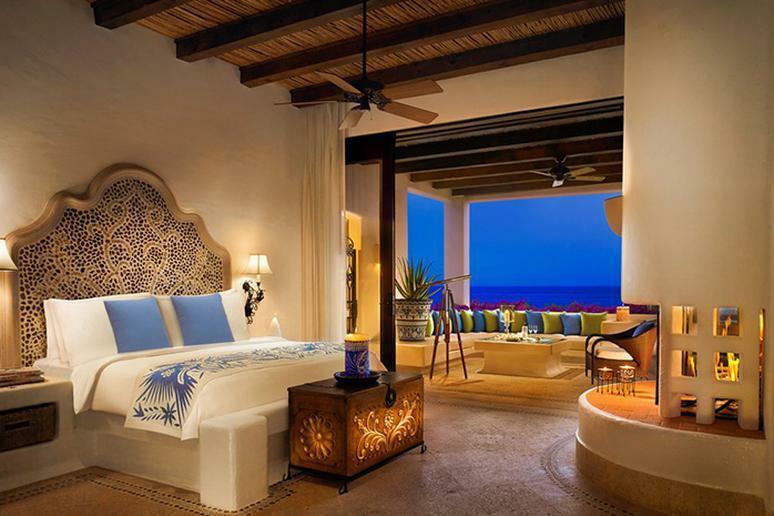 The hotel’s master suites have private saltwater pools and terraces with sweeping views. Plus, according to CN Traveler, the beds are massive and the bathrooms come with bath products custom-made by the hotel’s parfumeur. Hotel Maria Cristina was renovated in 2012 — 100 years after it opened in 1912 — but maintains its stunning original stained glass ceiling. 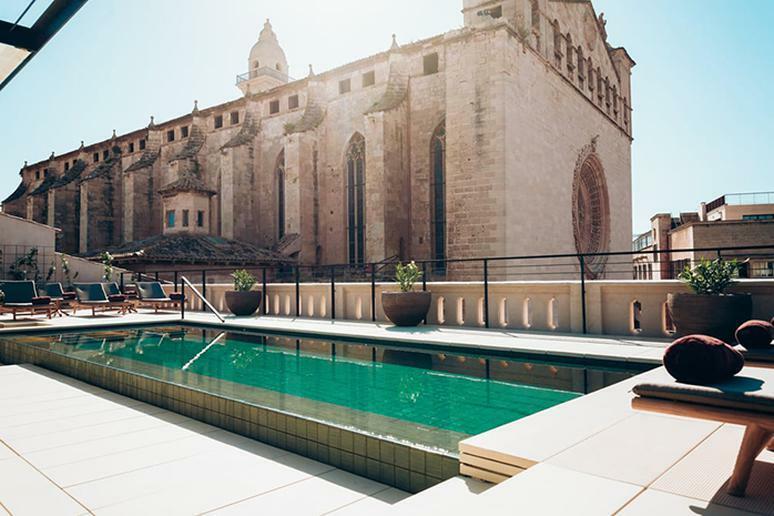 This five-star hotel is curated to the nines with special concierge services, a gourmet shop with local Spanish treats, and daily classes at the hotel’s below-ground cooking school. Food is a big deal here. 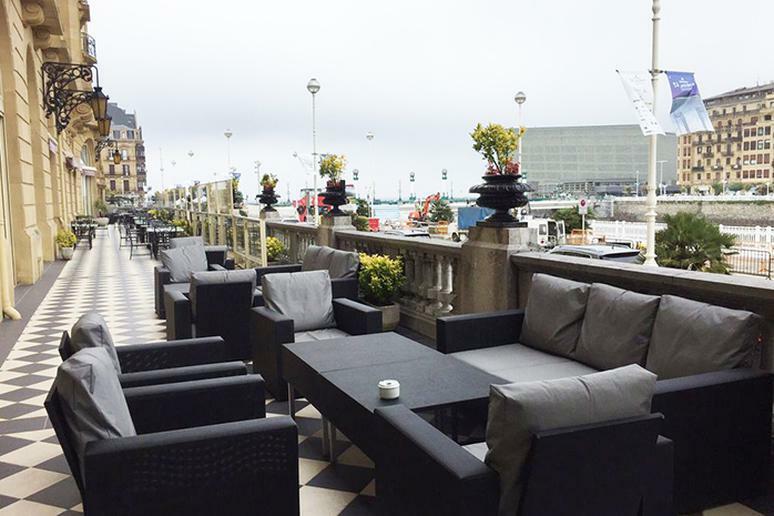 Hotel Maria Cristina offers a massive breakfast buffet in the morning, two in-hotel restaurants which also offer food tours, and even fun pop-up restaurant experiences inside the hotel galleries. If you want to splurge on an island paradise, this is it. 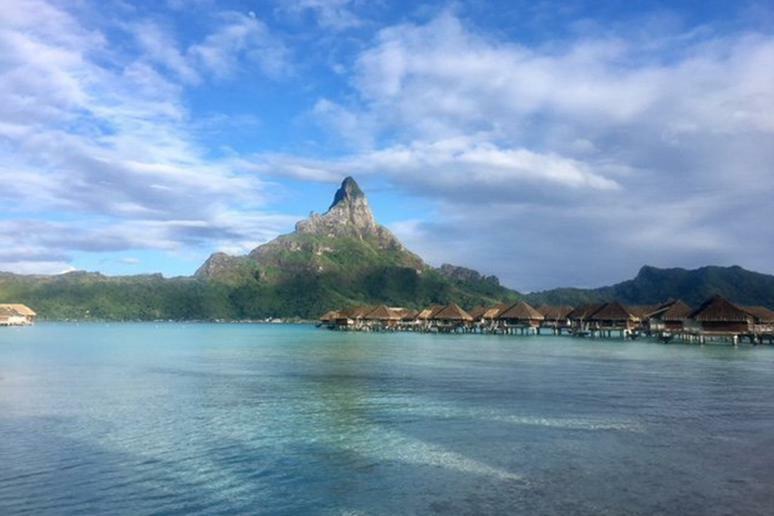 This five-star hotel faces the main island of Bora Bora and Mount Otemanu and is surrounded by sapphire waters. If you’re not busy gaping at the scenery, check out their Deep Ocean Spa, the first seawater therapy spa in French Polynesia. The hotel also boasts a ton of restaurants and bars, all named after the oceanic scenery. Capri is a must-see if you’re ever stopping by the Amalfi Coast. 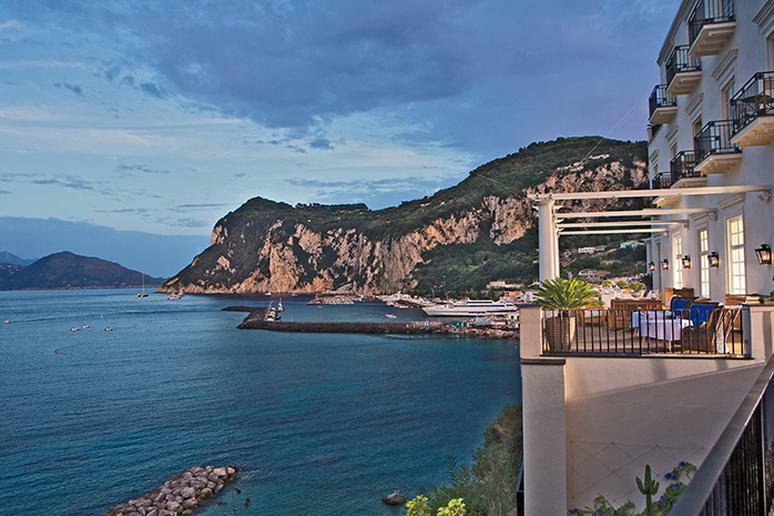 This stunning island is home to the J.K. Place, which you must splurge on should you come to Capri. The hotel serves up high-end Italian comfort food and, according to CN Traveler, the service is impeccable. It’s the chicest place to stay on the island, so know that you’re not missing out should you hear about friends, diplomats, or celebrities staying anywhere else. If you’re looking to take the most luxurious vacation of your life alone, with friends, or with your partner, go to Jade Mountain. Kids age 15 and under aren’t allowed at this hotel, so you won’t suffer any crying or screaming babies. 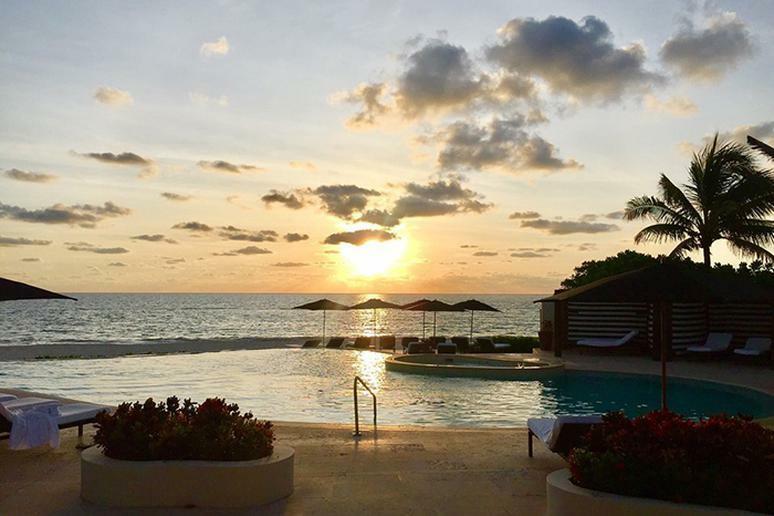 A personal concierge is assigned to each suite, so all you have to do is say the word and whatever activity you feel like doing on the 600-acre beachfront resort is set up for you. Plus, it offers a stellar view of both the Piti and Gros Piton mountains, which rise dramatically from the Caribbean Sea shoreline. Bring your camera, because you may also want to photograph your food. The menu at the Jade Mountain Club was created by James Beard award-winning chef Allen Susser. 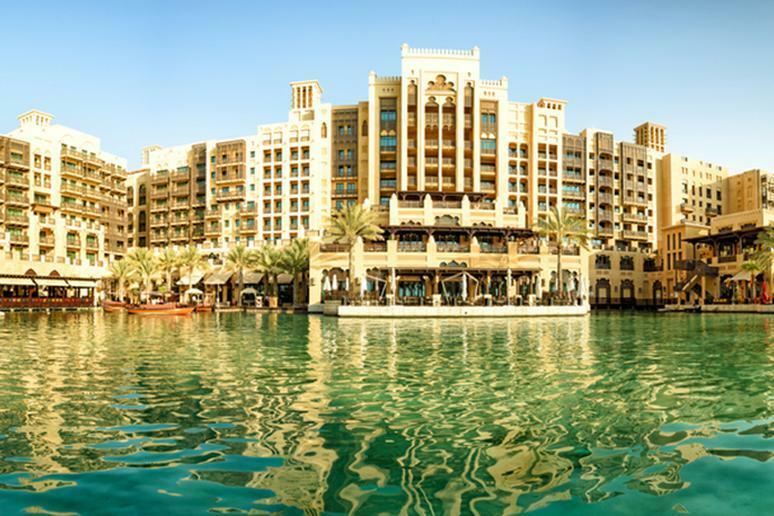 This Dubai hotel will not disappoint should you chose to splurge on this four-star hotel. There are over 50 restaurants and bars on the property as well as a water park. There’s also a private beach for windsurfing and wakeboarding, play areas, and tons and tons of pools. Should you feel like shopping, the hotel offers boutique stalls with jewelry, perfume, antiques, and more. You can even take a boat tour through the market shops via a canal. It sounds like paradise! No, you did not just land on the set of “Mama Mia” — you’re at Katikies Hotel in Santorini. You must have come at the right time too, because this hotel is seasonal and closed from November to April, ensuring that guests will have the best weather during their stay. This 34-room hotel is a Greek retreat 300 feet above the Aegean sea full of infinity pools, wine cellars, gorgeous restaurants serving Byzantine feasts, and even a Champagne bar! 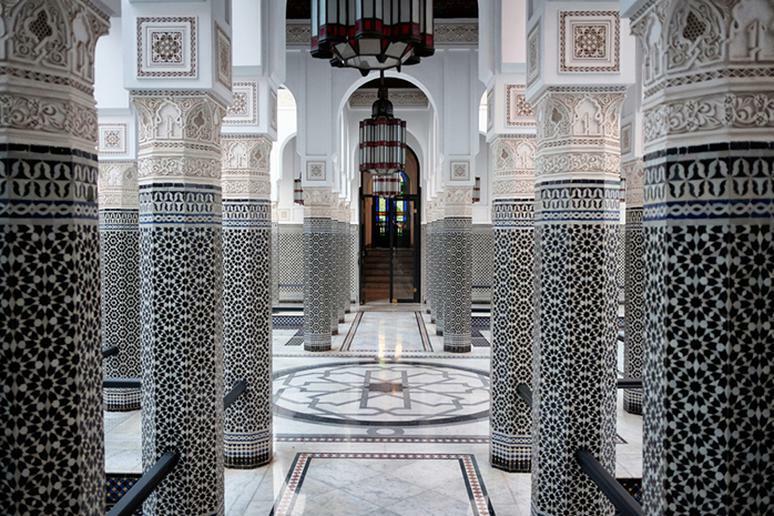 The beauty of La Mamounia is what is most shocking. It’s just so splendid. Everything is colorful and covered in artwork or draped in opulent fabrics, and according to Forbes, it smells of jasmine, orange blossom and cedar. The hotel has gorgeous gardens that guests can have tea in, a fantastic spa and a pool that will make you want to swim all day long. Plus, it’s right inside the city’s old medina which means you’re very close to Marrakech’s colorful markets and centuries-old historical sites. This picturesque hotel is equal parts desert and sea as this vacation spot sits on the Sea of Cortez and also the sprawling Mexican desert. A major reason to stay here is their “tequila sign” class, in which guests go through a blind taste test of tequilas to create a personalized profile. Once your profile is made, hotel bartenders create pairings around your taste wherever you drink or dine! Isn’t that cool? If you’ve had too much tequila, every suite comes with its own butler on call 24 hours a day to fetch you an Advil or bring you something to eat — or at the very least, draw all the curtains while you nurse your hangover. This Parisian hotel is a must if you’re staying in the City of Light! Near the Arc de Triomphe, the Grand Palais, and the Champs-Elysees, Le Bristol is like staying in the finest Parisian chateau. The rooms are spacious and elegantly decorated. The spa is done by cult beauty brand La Prairie and is open until 9 p.m. for any late-night treatment shenanigans. Guests can manger (eat) at the hotel restaurants such as Epicure, 114 Faubourg and Le Jardin Français and pop in for a beverage at Le Bar du Bristol, which also turns into a weekend nightclub. Plus, everything looks extremely chic — because let’s face it, it’s Paris! C’est magnefique, non? Le Meurice is Parisian luxury. It is the oldest palace in France, but accommodations and amenities are state of the art. Spa Valmont offers cutting-edge services that will leave your skin glowing like a French model’s. Famous French chef Alain Ducasse has curated the menu at Restaurant le Meurice Alain Ducasse where you can have all your meals. 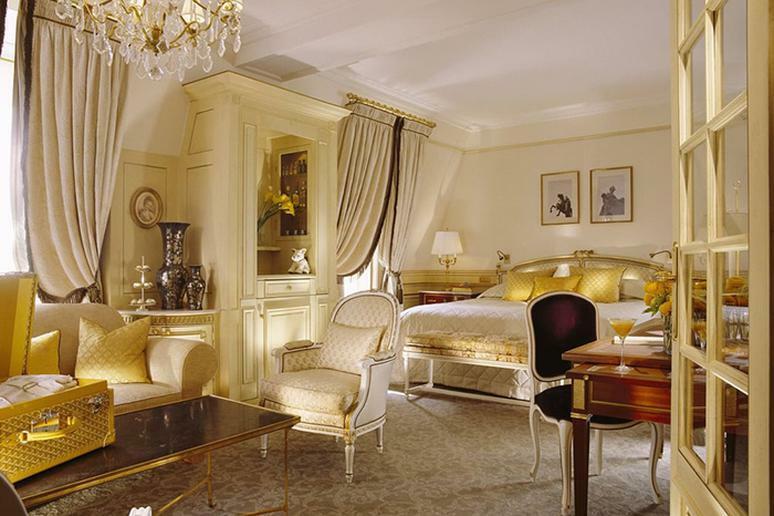 If you’re really splurging, stay in the Belle Etoile Royal Suite, which boasts a 360-degree view of Paris. If you’re looking to get away without leaving the country, head to Wyoming. 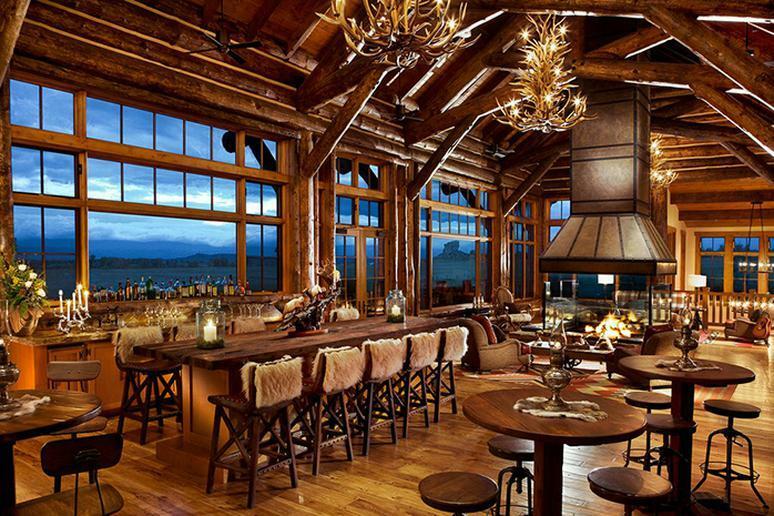 If you’re looking for a hotel that maximizes the available activities, head to The Lodge and Spa at Bruch Creek Ranch, where it is as luxurious as it is wild. You can glamp (glam camping), ride horses, get dirty on an ATV, partake in some yoga, or relax in the rustic luxury of the lodge’s modern accommodations and enjoy a farm-to-table dining experience. 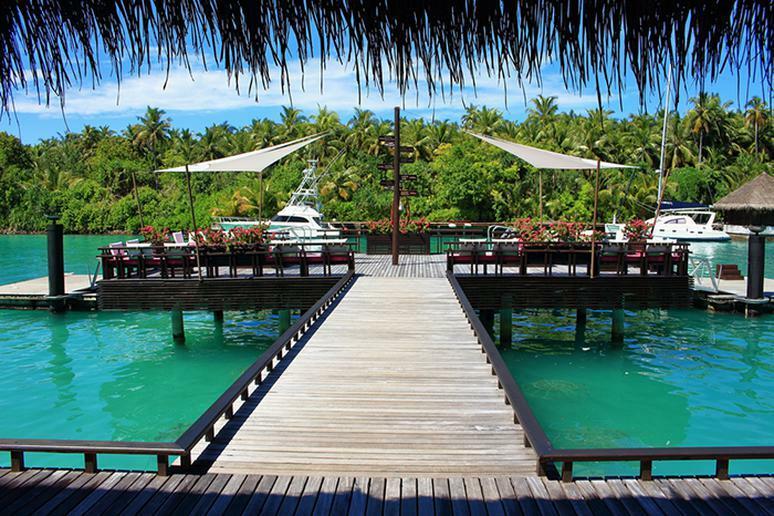 Do the Maldives right at this large and luxurious resort. The food is a standout at One & Only, which offers sushi, fresh fruits and vegetables and stunning cocktails. It’s a big attraction for romantic vacations, but it’s also kid-friendly and offers a ton of waterskiing, windsurfing and more. Cabo has long been a destination for celebrities on vacation — and if you’re willing to splurge, it can be for you too! 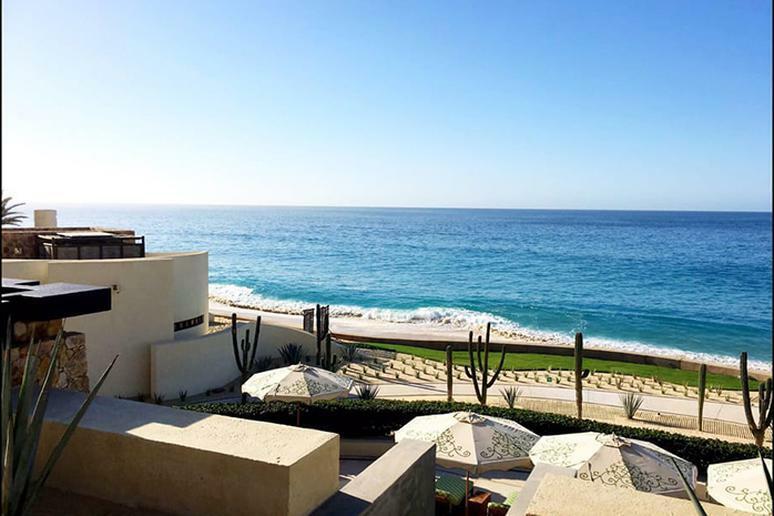 The Resort at Pedregal is perfect for anyone who loves long strolls through quaint adobes, ocean views and a really great spa. The resort is also in the perfect place to go scuba diving and snorkeling, and they offer a concierge service that can hook you up! 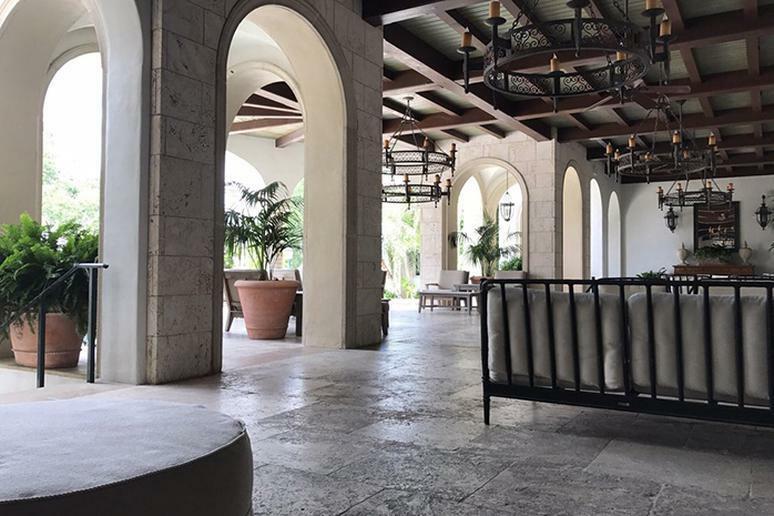 Mayakoba is “The Venice of Mexico” according to Forbes. 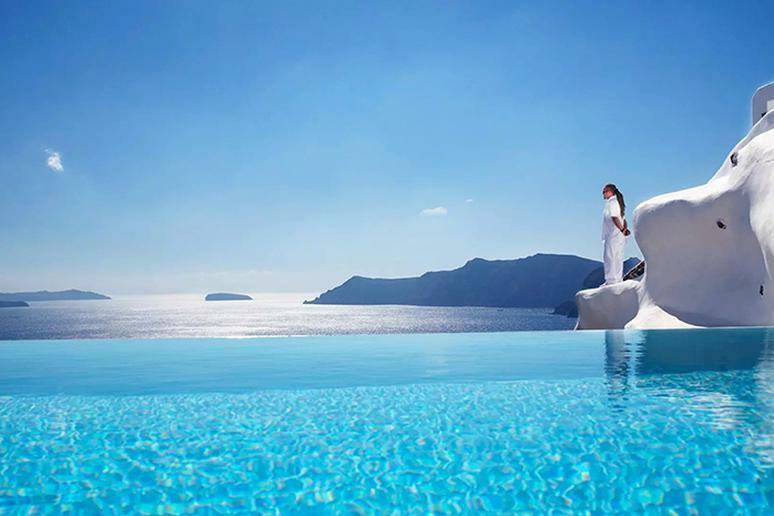 The Rosewood hotel there is all villas and freestanding suites with private pools and outdoor showers. Some suites even open right onto the beach! Going with a large group? Some of the villas offer up to four bedrooms. 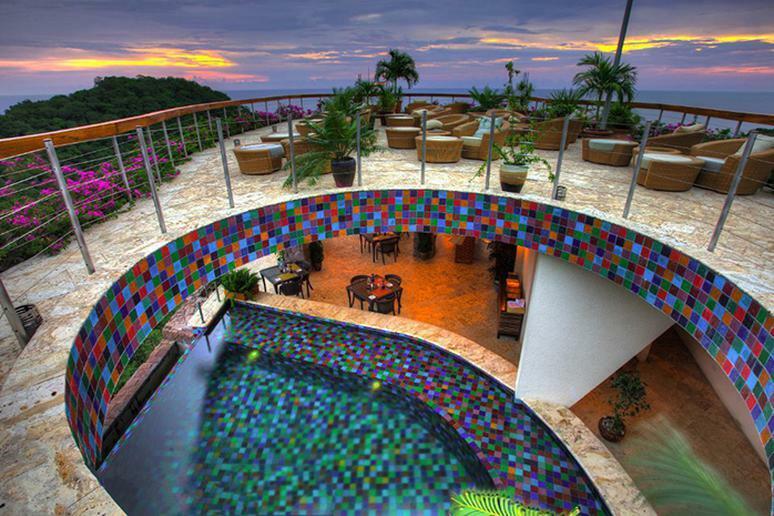 The hotel’s tequila bar is also a highlight; it has more than 100 tequila options. This 5-star Spanish hotel is perfect for people who need to occasionally stop vacationing and start working. Located near the Basiilica St. Francis and the Cathedral of Santa Maria of Plama, guests can pop outside for all the history and sightseeing they can handle before running back into their rooms to connect to Wi-Fi. Singapore is opulent, and its hotels are no exception. 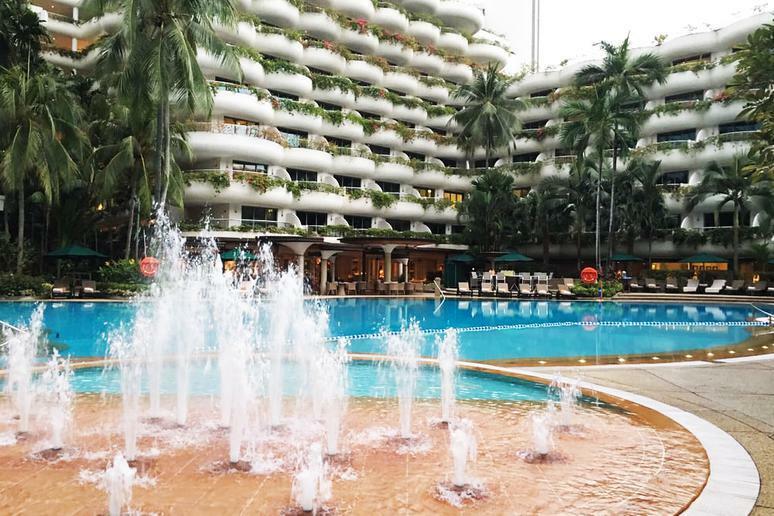 The Shangri-La Singapore is near Singapore’s most famous shopping street, Orchard Road. However, you’ll feel like you’re in the heart of paradise, as the hotel is surrounded by 15 acres of lush tropical gardens. Want to spend your time totally blissed out? Book a room in the Valley Wing, which has a separate entrance and lobby. Your room comes with personal butler service! 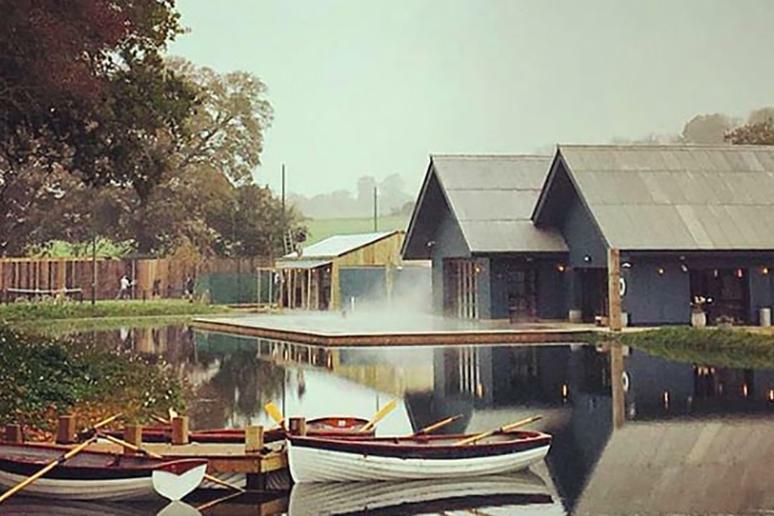 Frequently by British celebrities like Alexa Chung and Nick Grimshaw, the Soho Farmhouse in Oxfordshire might just be the poshest of the Soho House bunch. Set in gorgeous English countryside, this hotel and members-only club includes garden rooms, cabins, private cottages and even a seven-bedroom farmhouse. It may seem rustic, but this hotel offers all the amenities of a regular Soho House location, such as four different restaurants, an outdoor pool and a spa stocked with cult-favorite Cowshed brand products. 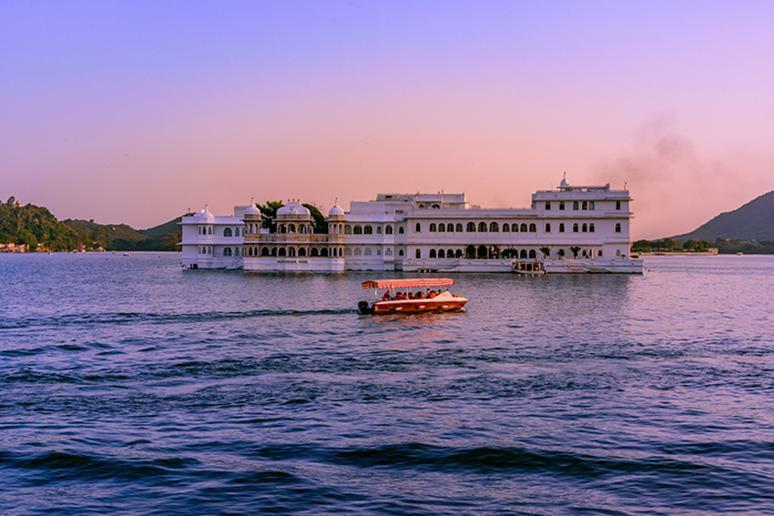 You’ll feel like a celebrity as you speedboat your way to the Taj Lake Palace. You’re not being extra — the only way to reach this splurge-worthy hotel is by boat. 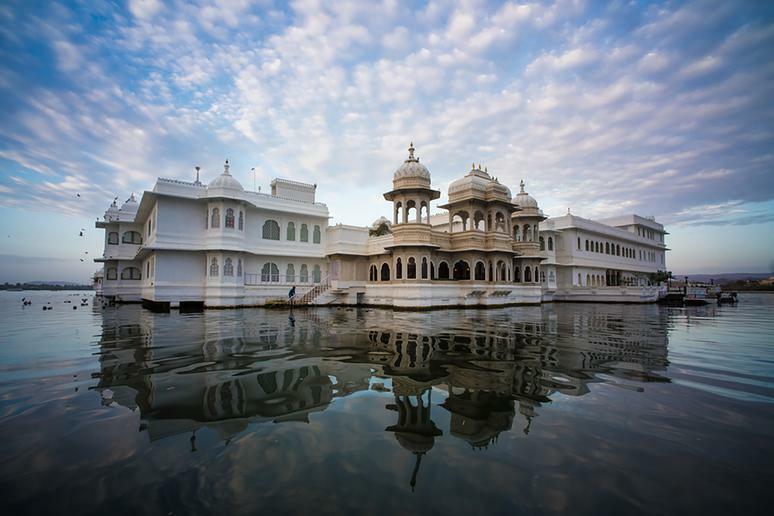 This hotel was an 18th century palace, and it offers the most gorgeous view of Lake Pichola. You may have to spend like a king to stay here, but you’ll feel like royalty reclining in the four-poster beds and using the butler service. If you’re hungry, the hotel has four different restaurants for you to choose from that serve authentic Indian cuisine. This Financial District hotel is actually one of New York’s best. 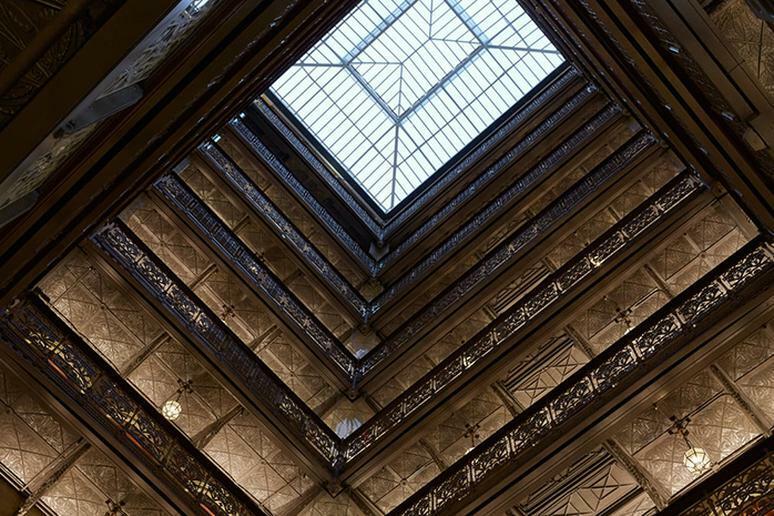 Formerly the Mercantile Library Association, the luxe digs contain a Tom Colicchio restaurant and bar as well as a brasserie-style restaurant serving French food. When you’re done wining and dining, check out the hotel’s art collection inspired by writers who spent time on the same lot back when it hosted the Mercantile Library Association, such as Ralph Waldo Emerson and Edgar Allen Poe. 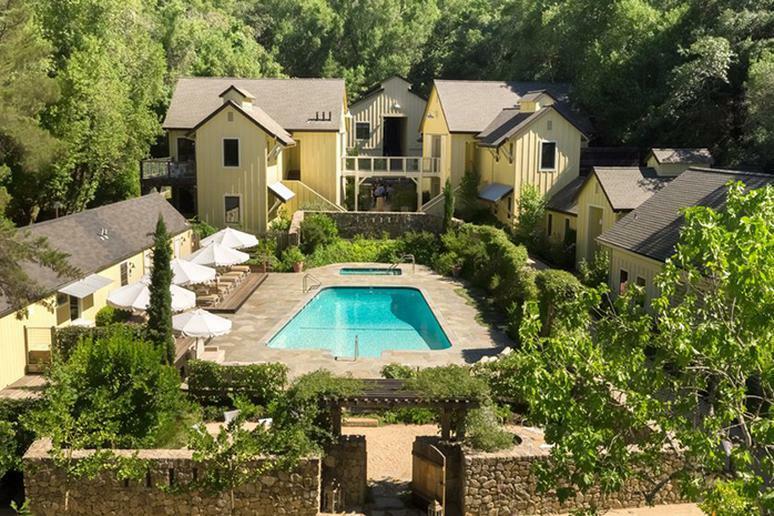 The Cloister is a secluded five-star Georgia getaway with tons of activities and a killer spa. After seeing the on-staff nutritionist or getting all kinds of face and body treatments, chill out in the waterfall circular whirlpool or one of the outdoor hot tubs. The hotel is also family-friendly and offers a kids’ club called Camp Cloister. 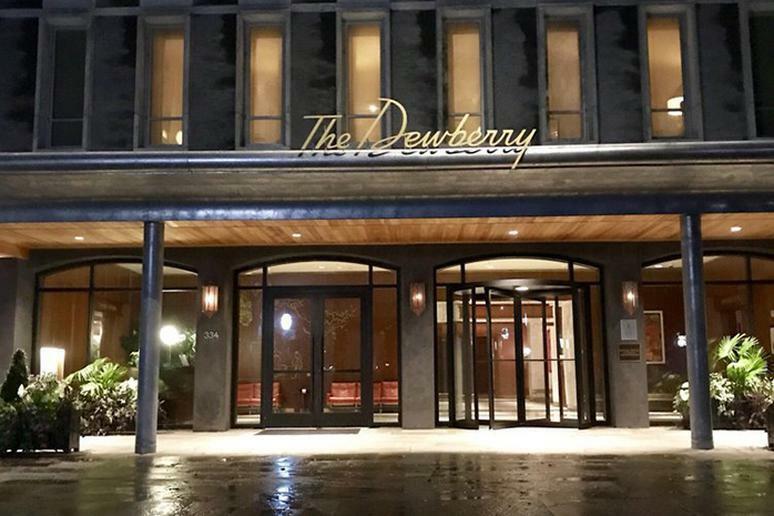 If you’re not afraid of dropping some major cash on your Southern vacation, head to The Dewberry. First off, the interior is modern South Carolina cool, with palm-shaped chandeliers and beach-y looking rooms. Dine at the hotel restaurant Henrietta’s, for French food with a Southern influence. The hotel also offers in-room bar service with seasonal drinks curated by The Dewberry’s executive chef. 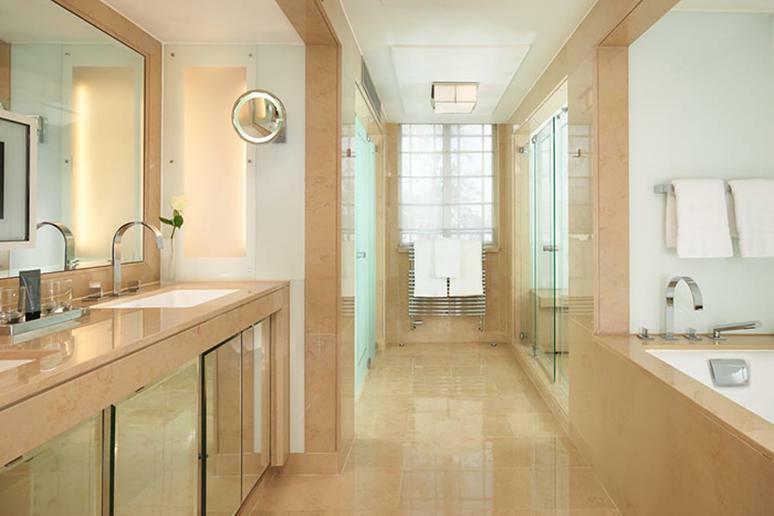 This London hotel is located in Mayfair, the ritziest London neighborhood. If you choose a roof suite, you’ll have an outdoor balcony with views of Hyde Park. The Grill at Dorchester by chef Alain Ducasse is a must, as is The Bar at The Dorchester. Plus, the hotel offers an afternoon tea experience that is the height of English sophistication with various pastries and treats made exclusively by The Dorchester pastry team. You’ve never been anywhere like The Inn of the Five Graces. It’s in New Mexico, but because of the way it’s decorated, you might feel transported across the world with its gorgeous Middle Eastern and Indian accents. Every room is different, but they all come with flat-screen TVs, fireplaces, and Le Creuset dishware. Their kitchen serves tons of Mexican-influenced dishes as well as health conscious meals. 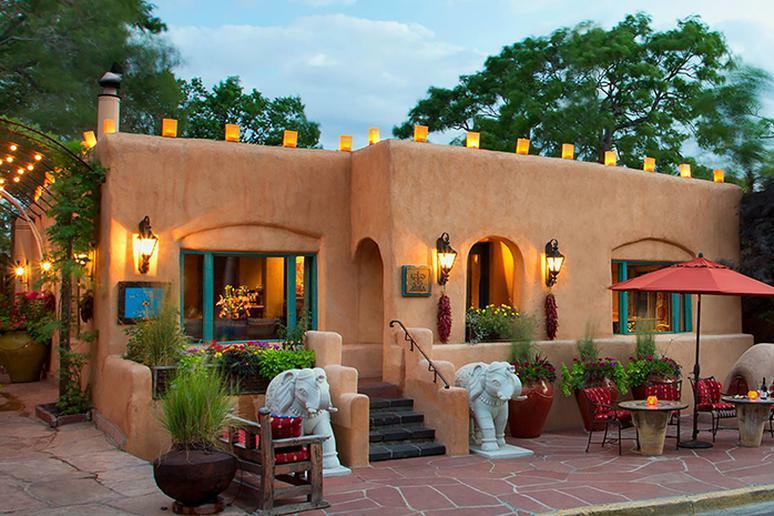 It’s a great hotel to wander around in due to its many courtyards and picturesque adobe buildings. You should splurge on this NYC hotel because it’s easily the most spacious in Manhattan. 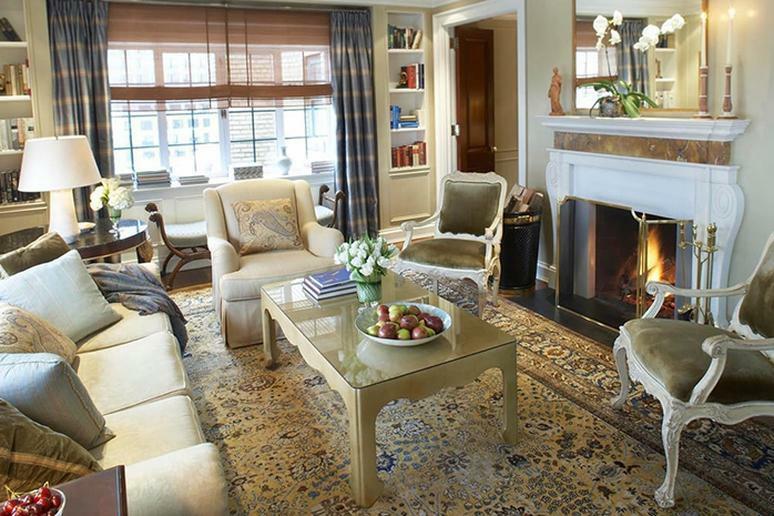 Every room contains a kitchenette, and some have wood burning fireplaces and balconies. That’s insane for New York! Many hotels there don’t even have bathtubs! 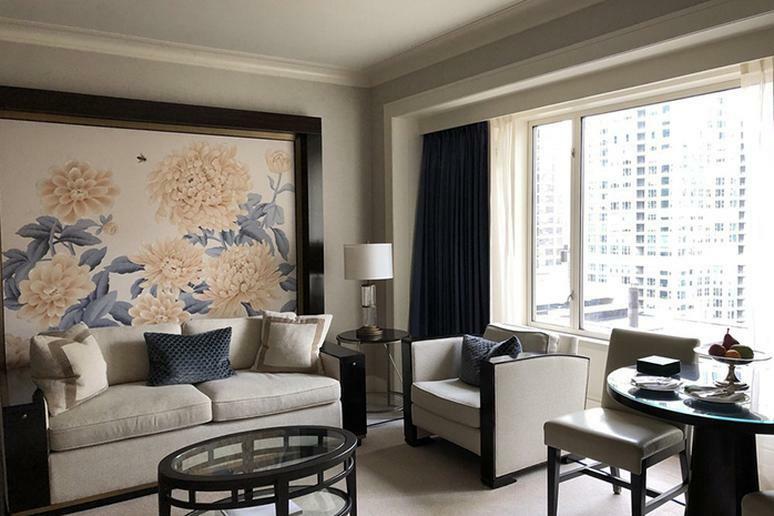 This five-star hotel in the Windy City is all about comfort. The rooms are large and come with a seating area and a control panel next to your bed that lets you control temperature, lighting and music and also opens and closes your curtains. Plus, the bathrooms here all have soaking tubs with built-in TVs and a separate shower. If you’re hungry and don’t feel like braving the cold to hit up the Gold Coast area hotel’s great restaurants, The Peninsula Chicago has three restaurants which serve French food, Chinese food, and Malaysian eats, respectively. This particular Peninsula hotel is styled like an ancient Roman bath despite its Chinese location and includes 10 different dining options. Cuisines served range from French to Swiss to Japanese to Cantonese. Plus, you can rent a ton of different movies from the hotel’s film library to watch in your room. And if you’re really feeling like splurging, before you arrive, schedule one of the hotel-owned Rolls-Royce phantoms to pick you up from the airport and take you to your destination. 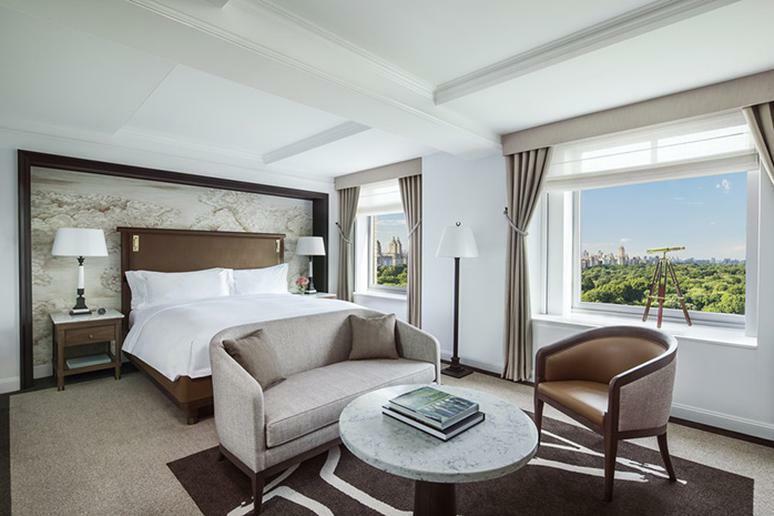 The Ritz-Carlton New York is classic New York luxury. Splurge on its opulent Swiss skincare-based La Prairie Spa, the exclusive Club Lounge, or one of the hotel’s higher floor rooms with an avenue view. What makes this hotel really worth it is its afternoon tea spread. The hotel serves a variety of tea sandwiches, scones, and desserts that you won’t find anywhere else. This Abu Dhabi destination is perfect for vacationers who want to soak up the sun. 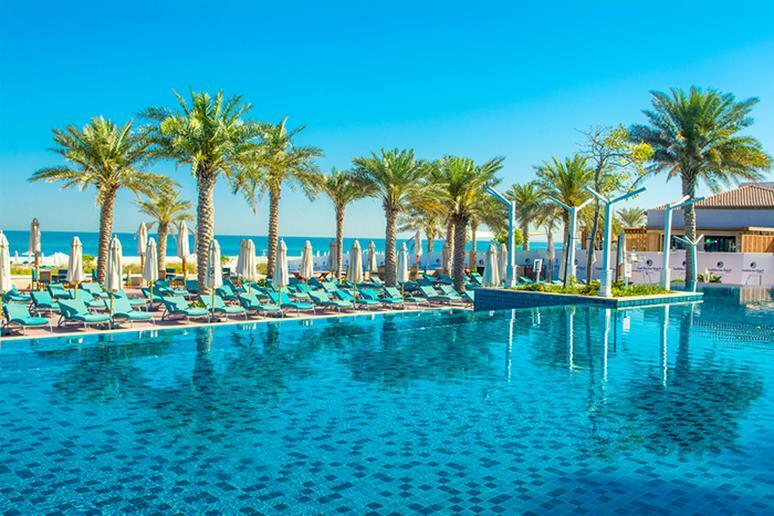 Located in one of the safest cities in the world, The St. Regis gives you access to one of Abu Dhabi’s best stretches of beach according to Forbes, and it has an adult pool that can’t be beat, as well as a kid’s pool if you want to splash with your little ones. Plus, pool cabanas are free on weekdays and come with free popsicles! Every type of room comes with a dedicated butler to draw your bath or shine your shoes, and when it’s time to eat, you can hit up the hotel’s famed Terrace restaurant or access the Nation Galleria mall from its entrance inside the hotel and taste its delights. Most people flock to the Wynn for Le Rêve, a dreamlike stage show full of stunts, dancing and feats of strength. But if you’re looking to splurge while you’re in Vegas, stay at The Wynn for its 15 restaurants, high-end mall The Wynn Esplanade, and bathrooms with massive bathtubs. Plus, rooms have floor-to-ceiling windows so you can really take in the Strip — which offers some of the best food and drink in Nevada. Don't feel like splurging? There are 20 free things you can do in Las Vegas.